just like the one pictured below, one side only. 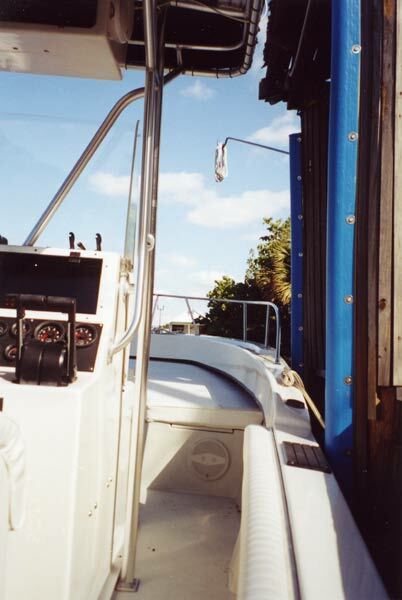 to hold your boat safely and securely in place without whips or blow up fenders. such as your dock or seawall. you eliminate inertial momentum that can be generated with slack lines and mooring whips. 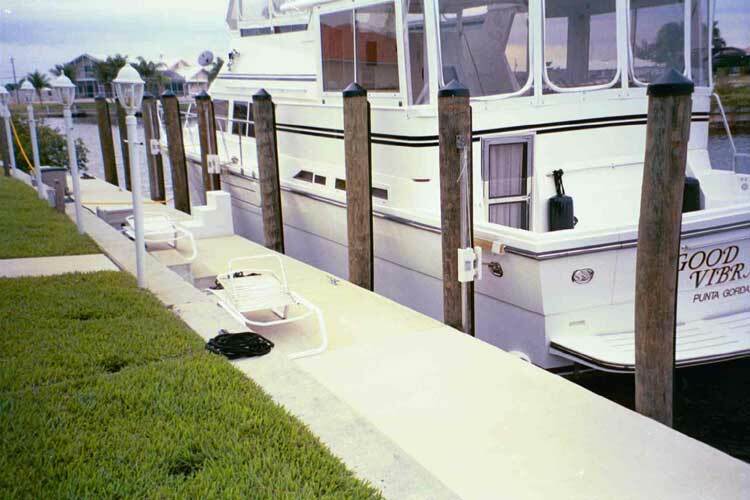 the dock or pilings or generate excess movement or momentum that can cause damgae. 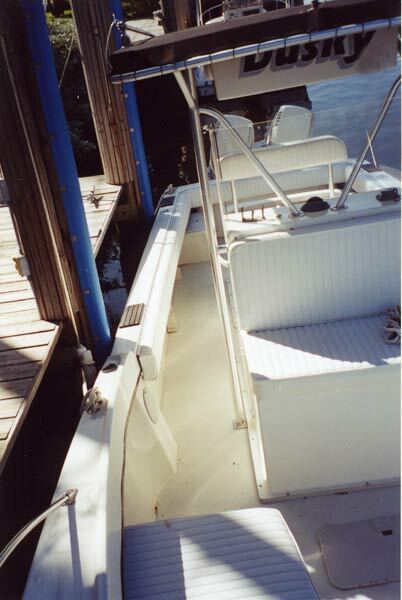 You need never worry about your boat again, as it floats safely and securely, just inches, from the dock. Easier tie-up and safer boarding are just a couple of the advantages of TideSlides. side and the boat will stay right in place.